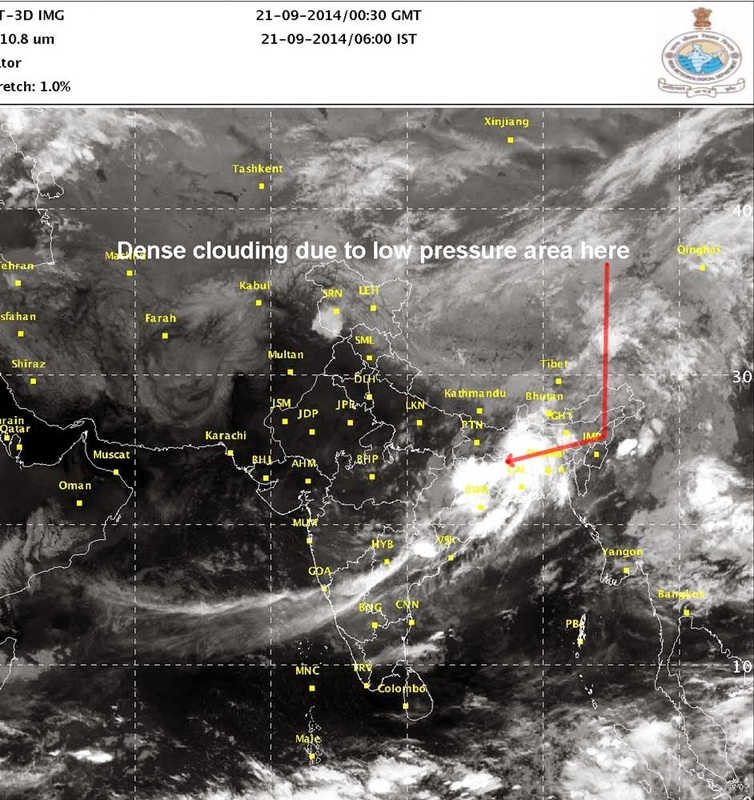 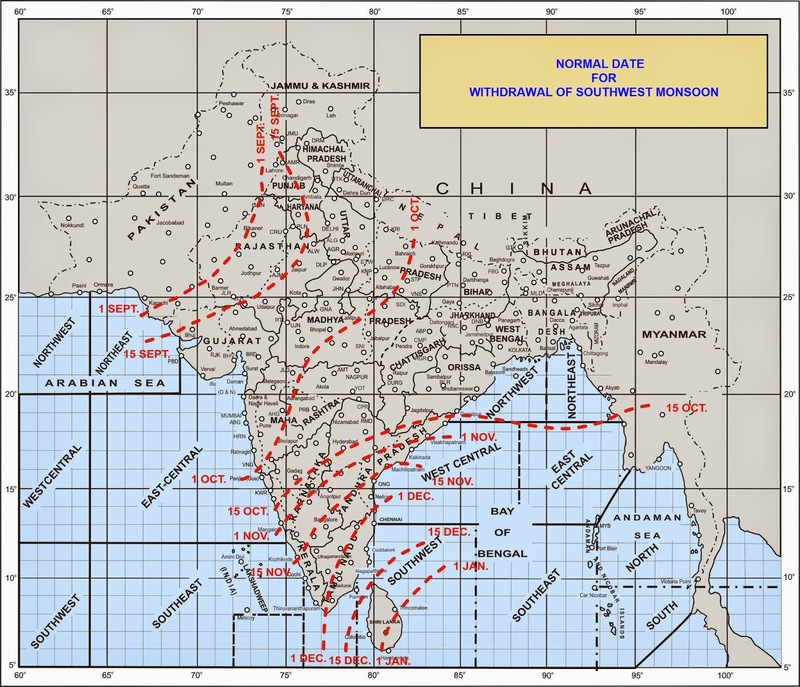 As per IMetD the 'well marked low pressure has now moved to north Odisha adjoining Gangetic W Bengal and Jharkhand' resulting in the tremendous moisture incursion over our area (region 5 - see below) and the rain. 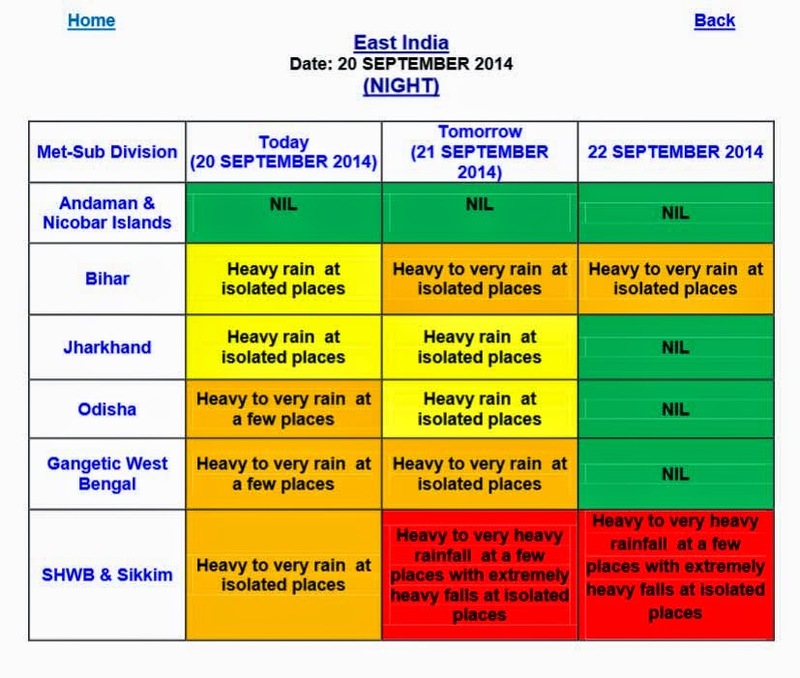 We are nearing the end of the monsoons and the earth is saturated with water; in this situation heavy, continuous rainfall as predicted by IMetD (see warning chart below) is certainly not good news. 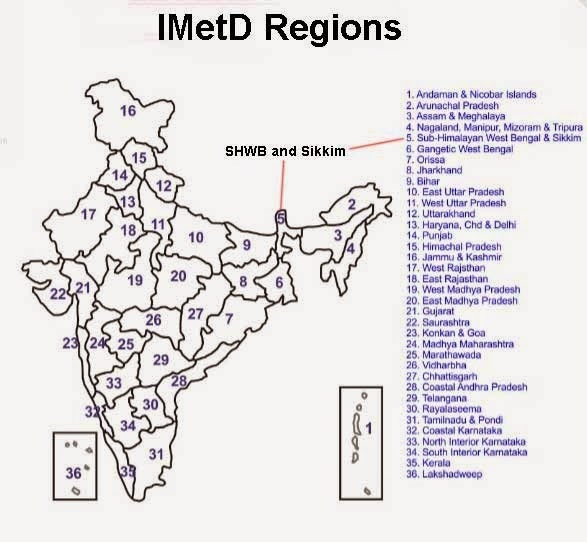 Unfortunately, despite repeated letters to concerned authorities many of the IMetD AWS/ARG stations are either unserviceable or give erroneous readings as such it is difficult to obtain the correct overall picture of precipitation in the area.